More than any other time in our lives, our identities are under attack. Identity theft is a multi-billion dollar illegal industry, and it's all made possible because of the widespread availability of our personal information. While most of us safeguard things like passports, driver's licenses, Social Security cards, and bank account details, we pay no mind to some of the items that thieves rely upon to make a healthy living. Make sure you do everything you can to keep this potentially life-damaging information out of their hands. It's just junk mail, right? And we all get so much of it that we barely take notice. We sort the real mail from the ads, throw the junk in the recycling bin, and go on with our day. Well, not so fast. Some of this junk mail is created using data that can reveal a lot about you. In some instances, it's enough to give an identity thief ample information to make your life hell. The humble ATM receipt is not as harmless as it seems. In fact, to an identity thief, it can be the start of a breadcrumb trail that leads to a pot of gold, and a major headache for you. The ATM receipt usually replaces most of the account number information with an X. However, the last four digits of your account and card number, plus the balance, the most recent transaction, and the name and location of the ATM withdrawal remain. That may not seem like a lot, but to a smart thief, it can be enough to expose your info. Rob Douglas, of IdentityTheft.info, told The Collegian, "the more information I have, the more likely I am going to be able to contact the bank and do what's called 'account takeover.'" How many discarded boarding passes have you seen over the years? They're everywhere. They are used as bookmarks in those in-flight magazines. They're left on airport seats. They're thrown casually into trash cans. Let's be honest, we've all done it. Once you're on the flight, the boarding pass is worthless. Well, not to an ID thief. Almost seven out of every 10 Americans are on some kind of prescription medication, according to Mayo Clinic and Olmsted Medical Center researchers. While that figure alone can be cause for concern, another worrying problem is the fact that most people simply discard old prescription receipts and bottles without thinking twice about them. That's a big mistake. When it's time to upgrade your computer, most people wipe the contents of the hard drive and reset it to factory defaults. Or they will dump any personal files in the digital trash can, hit delete, and call it a day. 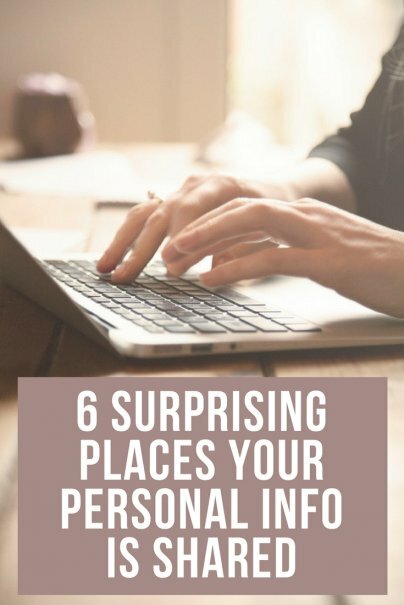 In either case, your personal information may still be on there. In fact, there are almost certainly significant chunks of recoverable information on that hard drive. Anything from tax returns and medical records, to scans of personal identification, old bills, and emails can be brought back from the dead by someone who knows what they're doing. Simply deleting files or resetting the machine is not going to protect you, and if you sell or donate that machine without taking the proper precautions, you may as well hand over a filing cabinet full of sensitive information to your local thrift store. So, what's the best way to protect yourself? Most experts agree that the only real secure way to dispose of old tech is to take a hammer to the hard drive. That's right. Smash it. Take it apart. Scratch it up. Do whatever you can to make the disc surface unreadable. If it's a solid state drive, hammer a six inch nail through it a few times. Seriously. It may seem like a waste of equipment and money, but you really don't want to deal with the aftermath of identity theft. We have all become so used to sharing information on our social channels that we don't think about the consequences. And while you may be quite sure that you've never shared anything sensitive or useful to a thief, you should take another look at your Facebook, Twitter, Instagram, and SnapChat handles and see what other people are seeing. For starters, you should never list your full name. Have a nickname or social identity. Don't list addresses, phone numbers, schools, colleges, workplaces, or other personal information. You would be amazed what someone can do with those items if they have experience with phishing and social engineering. They can also probe to see what your mother's maiden name is, which is a default security password on many accounts.